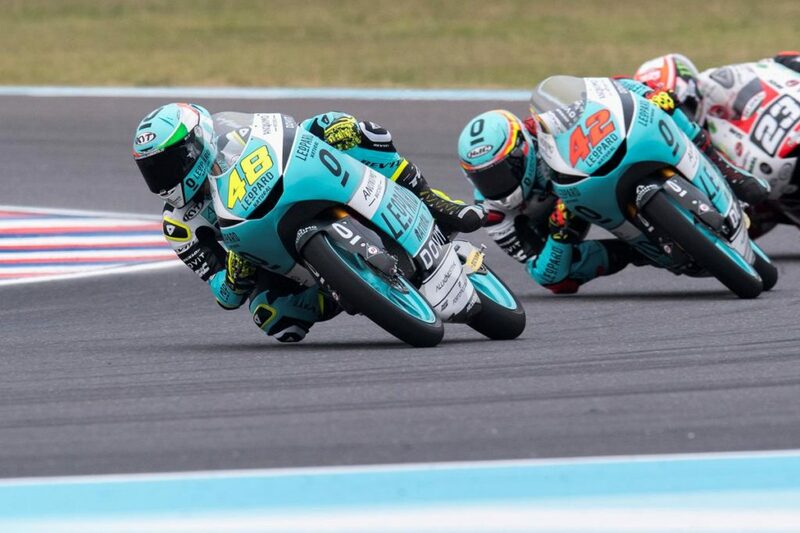 After a notable improvement on the FP3 (Marcos Ramirez was the 3rd and Lorenzo Dalla Porta the 4th) Leopard riders went directly through Q2 to battle for grid positions. As customary in Moto3, at the beginning of the session nobody wanted to be the first to exit from the box. Leopard riders played their strategy, went out, checked the conditions and came back to the pits to wait for the perfect moment. When it was time to push and set the best lap time, Ramirez couldn’t do better due to some traffic on track during his flying lap and saw himself relegated to the 12th position. Awaiting to see how the weather will treat Sunday race, Leopard riders are ready to fight for the best positions throughout the Argentinian track. “I’ve got a better position than in Qatar, although it isn’t what we expected. I felt good on the FP3 but then I haven’t had the same feeling and I’ve struggled to set my lap time. I’ve found some traffic and I know I could have done better than that. But I also know that then in the race I can take the most of me so I expect to do a great comeback and be in front. Let’s see how it goes”.